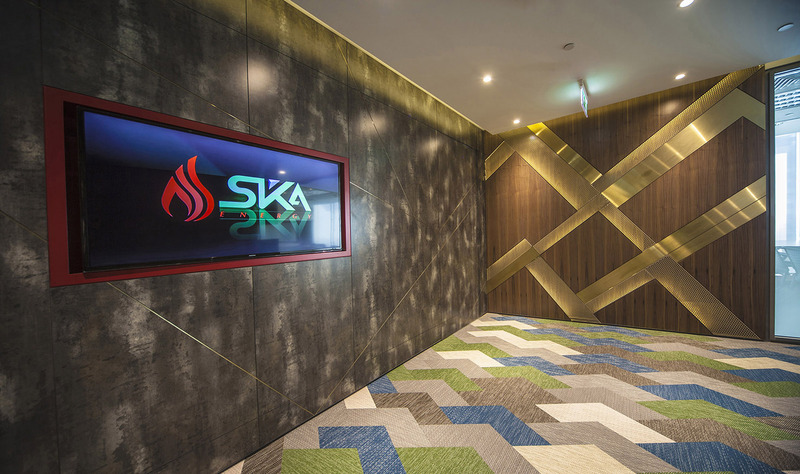 SKA International Group acquired another space in the Limitless building, and this office was to be a little simpler than the current office yet still boasting the corporate colours and using interesting patterns on the floor. 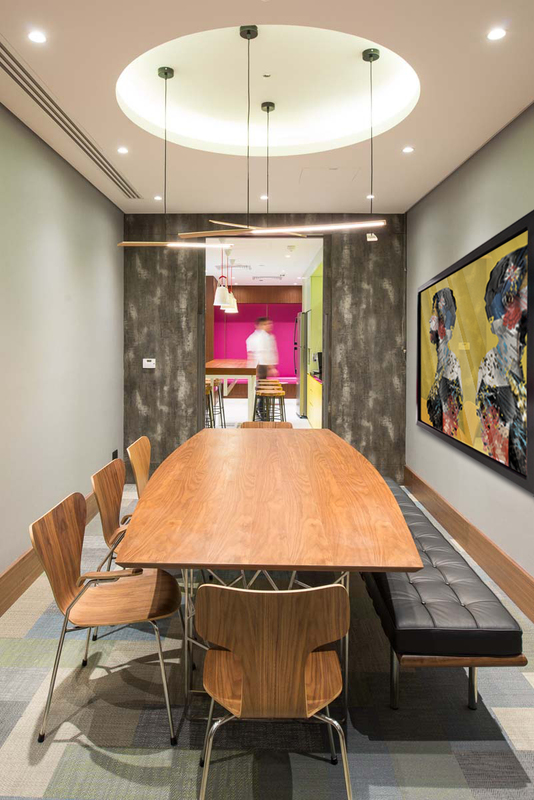 We expressed this through the extensive use of veneer throughout the office. 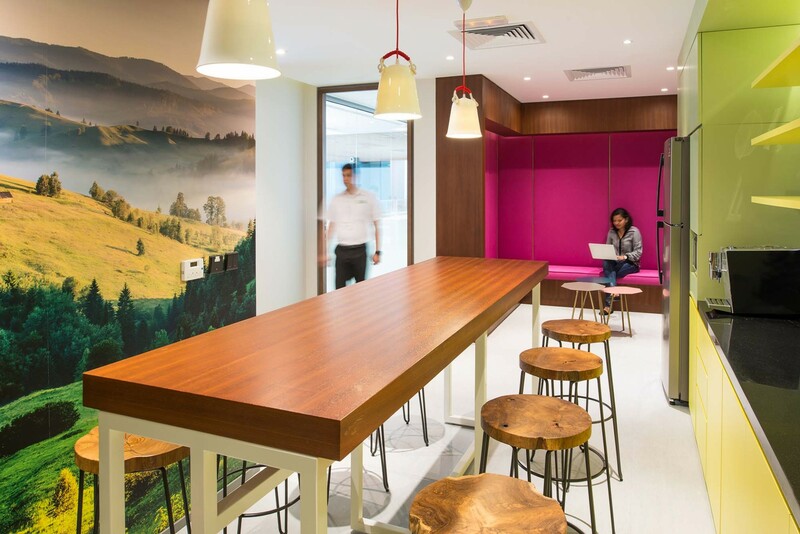 Once again, the reception desk was to be a feature unmatched in regular offices, and where the pantry is, is to be a space where vibrant colours and graphics with fun furniture are interspersed for all staff to enjoy. 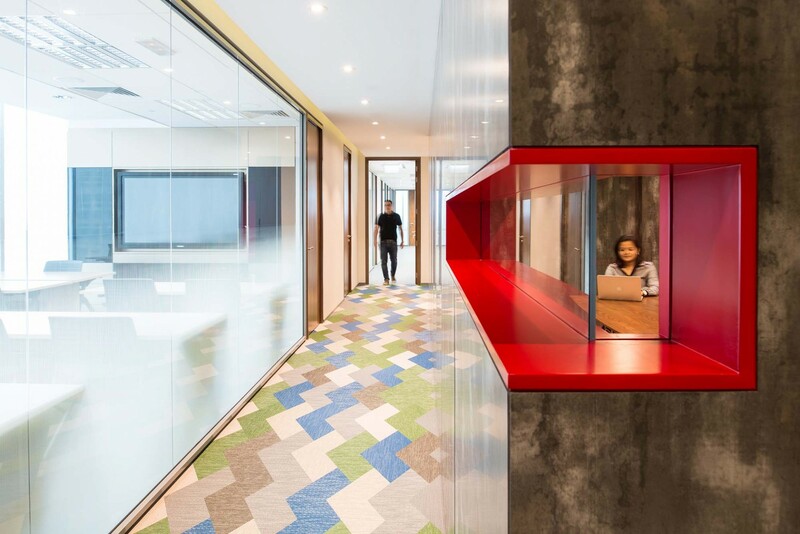 Rather than following a circular theme, this new office focuses on straight lines and rectangular patterns.